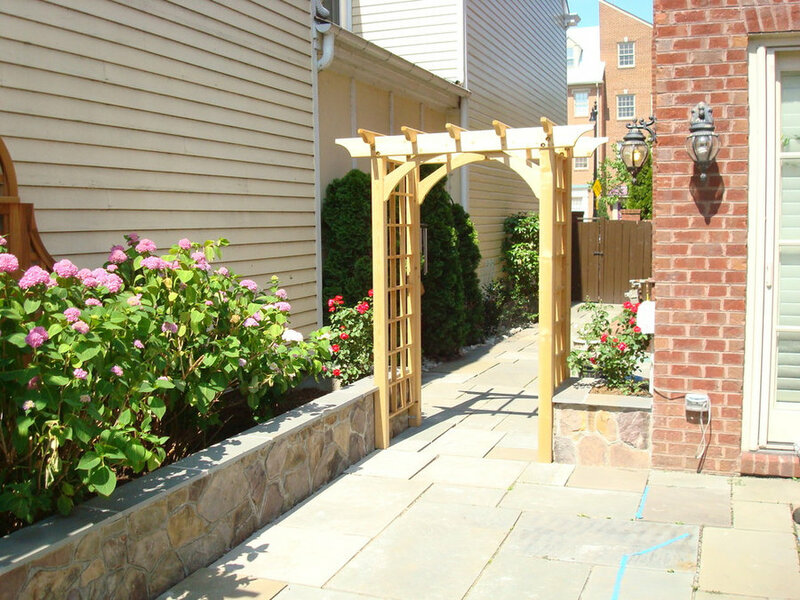 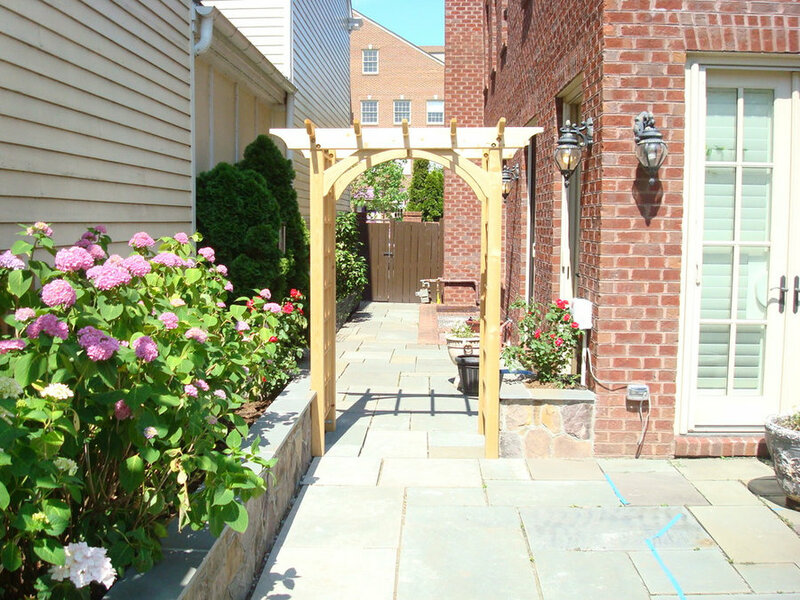 Arched Cedar Arbor defining spaces on patio. 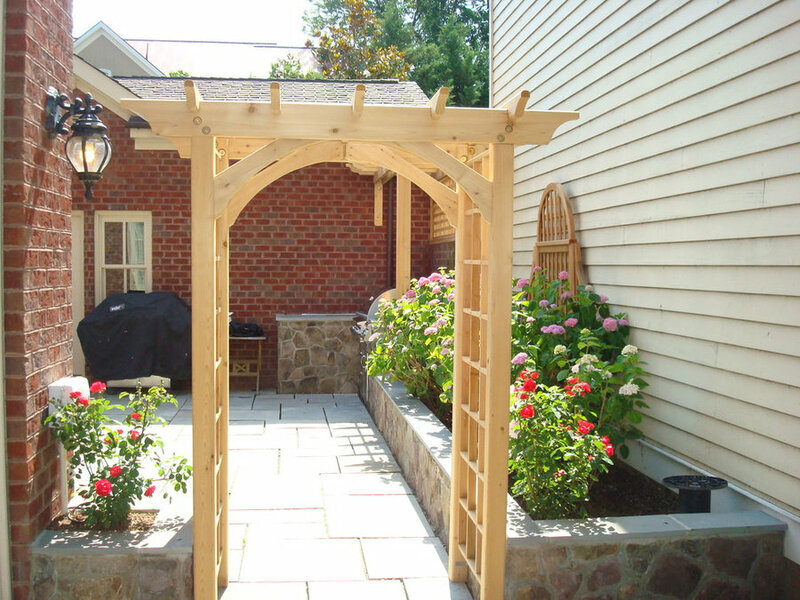 Lovely red climbing roses planted to cover arbor. 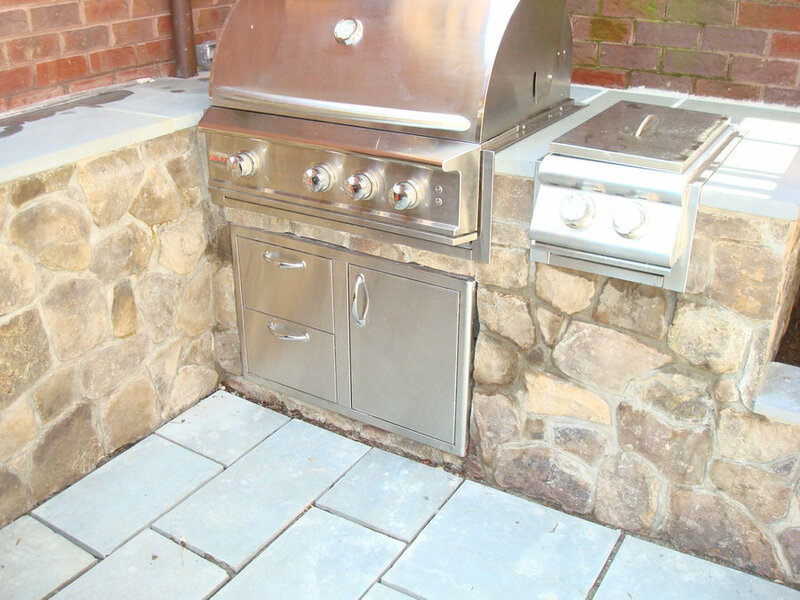 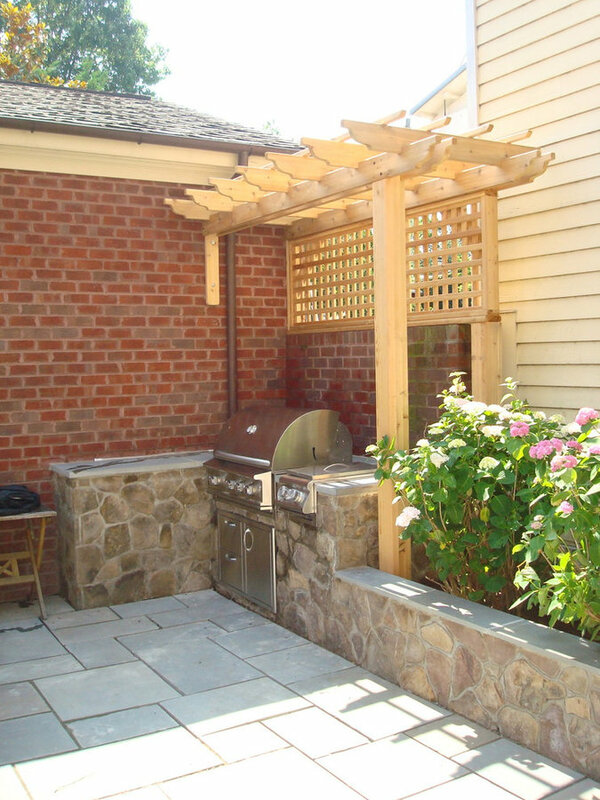 Built in BBQ with flagstone counter top. 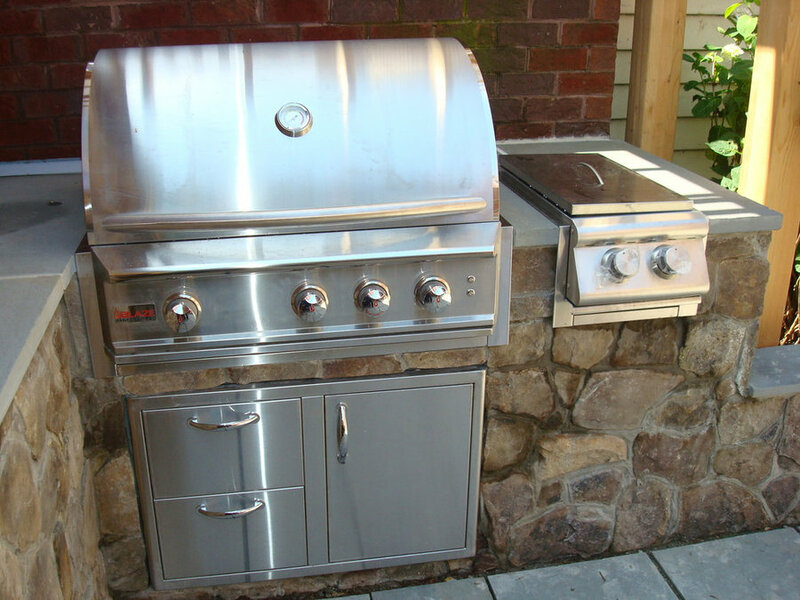 3 burner unit with sear burner in rear and dual side burner. 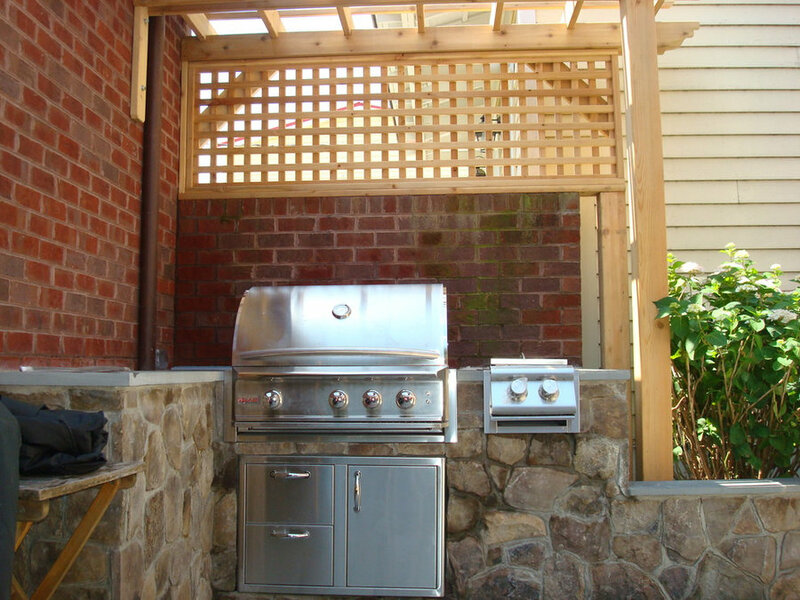 Under unit storage with (2) drawers and open cabinet. 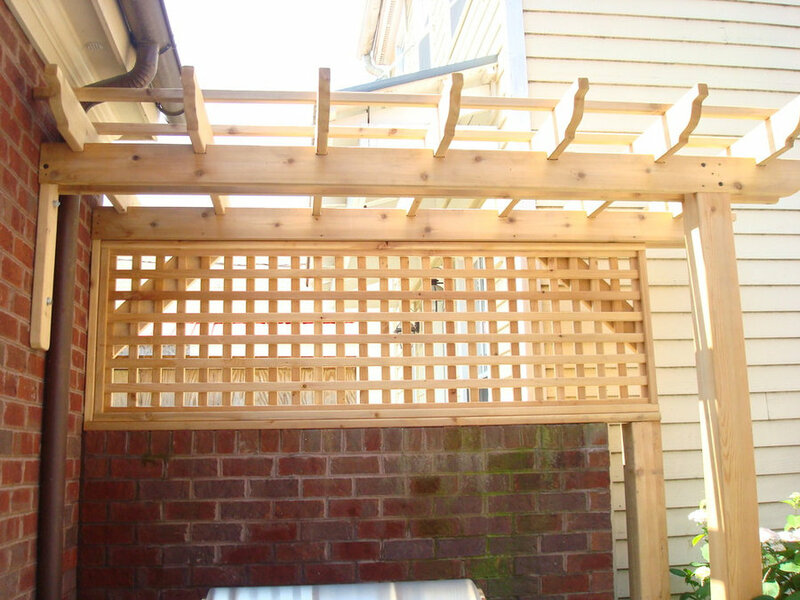 Cedar lattice and pergola over for privacy. 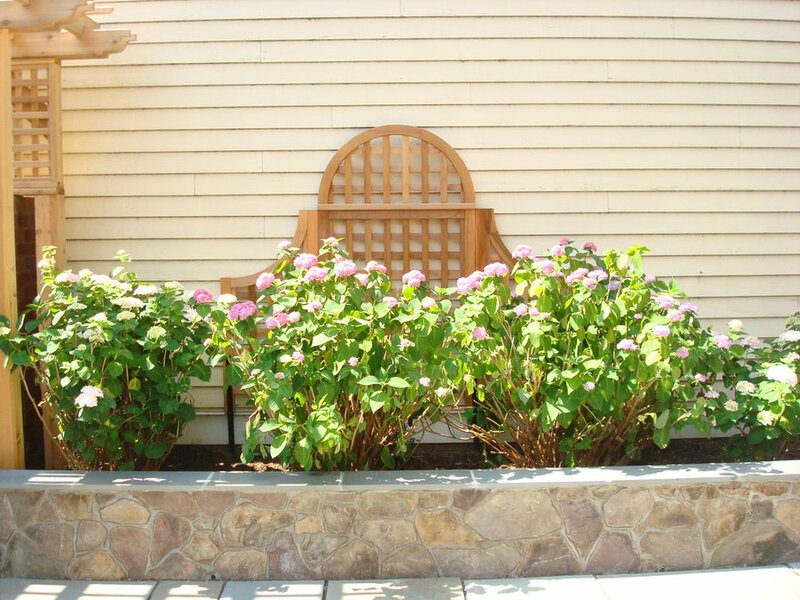 Nice arched cedar trellis with blooming Hydrangea in foreground. 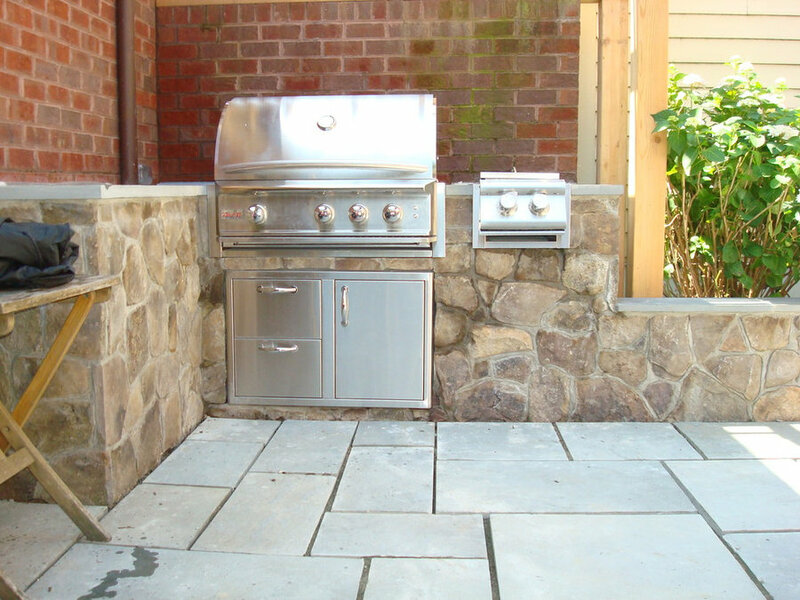 Elevated with nice stone seating wall.